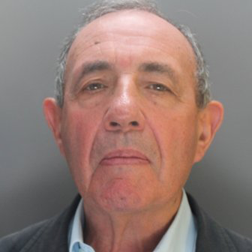 A former children's homes boss has been found guilty of 26 charges of sexually abusing youngsters in Wrexham. John Allen, 73, of Needham Market, Suffolk, denied 40 counts of sexual abuse against 19 boys and one girl in the late 1960s up to the early 1990s. Allen has been found not guilty of two charges. The jury is still deliberating on 12 charges. The former hotelier and pop band manager ran 11 homes in the Wrexham area known as the Bryn Alyn Community, despite not having any qualifications for the work he was doing. The prosecution claimed he was a "regular and formidable presence" at the homes, saying Allen created "a sexualised atmosphere... alongside a culture of fear". The trial also heard that some children spoke to those in authority, including the police, but were often ignored or disbelieved. Jurors were also told of Allen's previous conviction in 1995 for six counts of indecent assault involving repeated abuse of six boys dating from the 1970s. More complainants came forward following the publication of the Waterhouse report into abuse in north Wales care homes in 2001 and after the setting up of Operation Pallial in 2012 to investigate claims of historical child abuse, the court heard. It is the first trial held as part of the Operation Pallial investigation which has identified 120 potential suspects.